‘The well tempered Jaaga’ is a 10 channel sound composition for installation-performance exhibited and performed during an audio art fellowship-residency at Jaaga, the creative common ground in Bangalore on 19th December 2010. 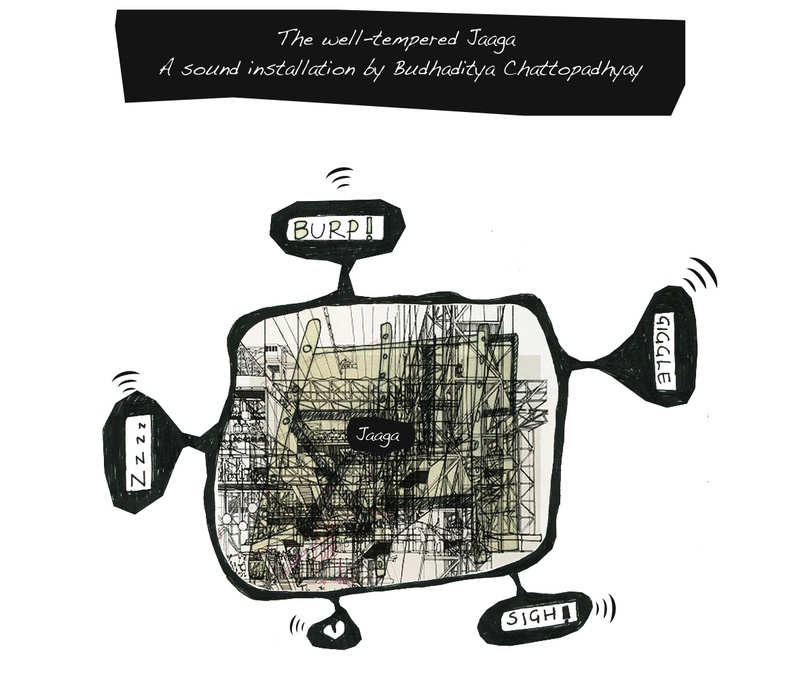 The composition is entirely developed upon structural vibration of Jaaga as part of the urban nature of Bangalore, while its metallic modular structure has been used as an instrument occasionally tempered with human intervention. The work is part of an ongoing project The Well Tempered City.